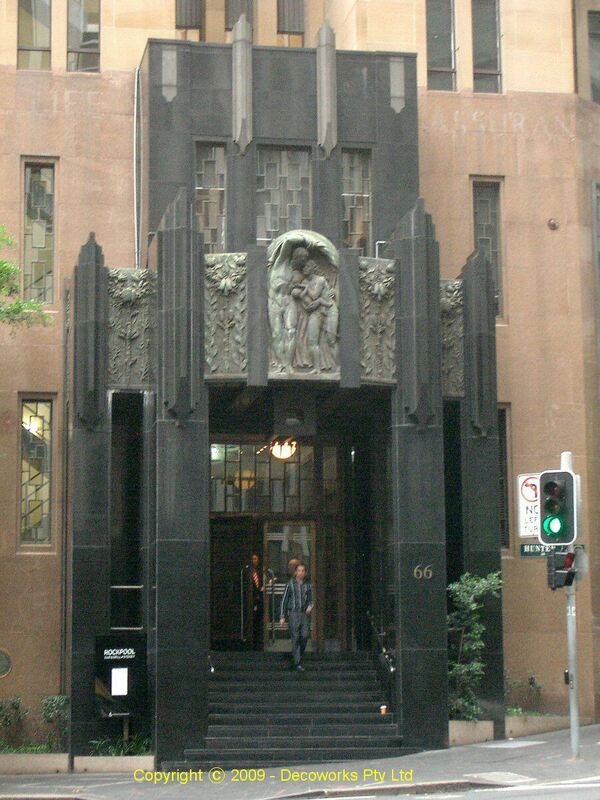 Built in 1936, the City Mutual Life Assurance Building at 60-66 Hunter Street is one of the foremost examples of high quality and well-designed commercial Art Deco architecture in Sydney's CBD. 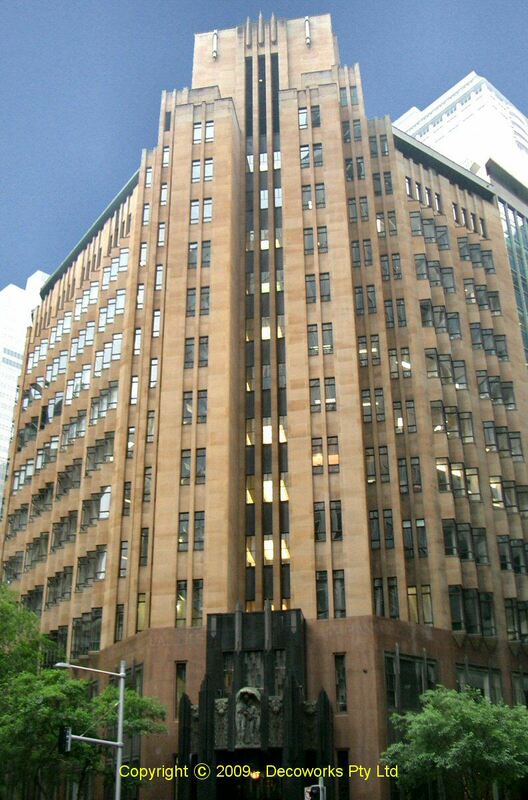 It was the first private commercial building to be fully air-conditioned in Sydney. 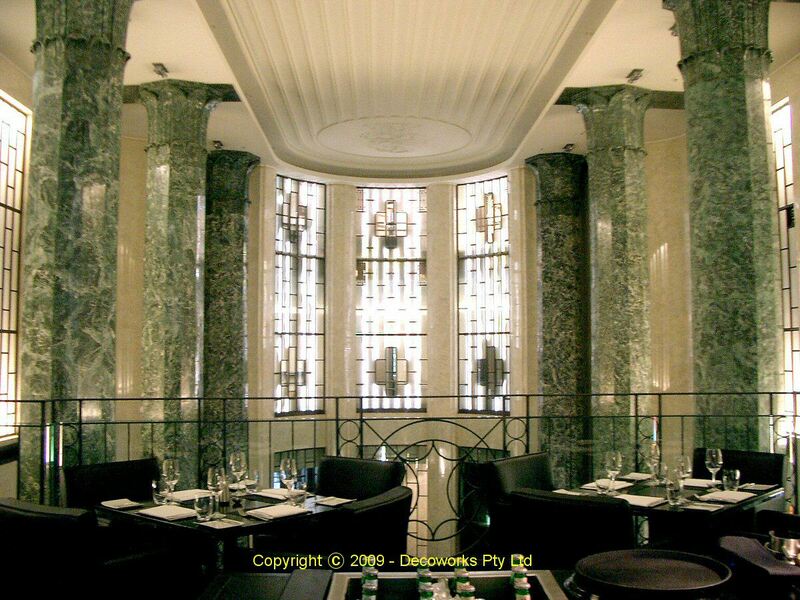 The serrated or zigzag window treatment to the street (also found on the Queensland Insurance Building in Pitt Street by Sodersten, 1940) allows much greater control of direct sunlight from one direction, while still allowing a view from the other. 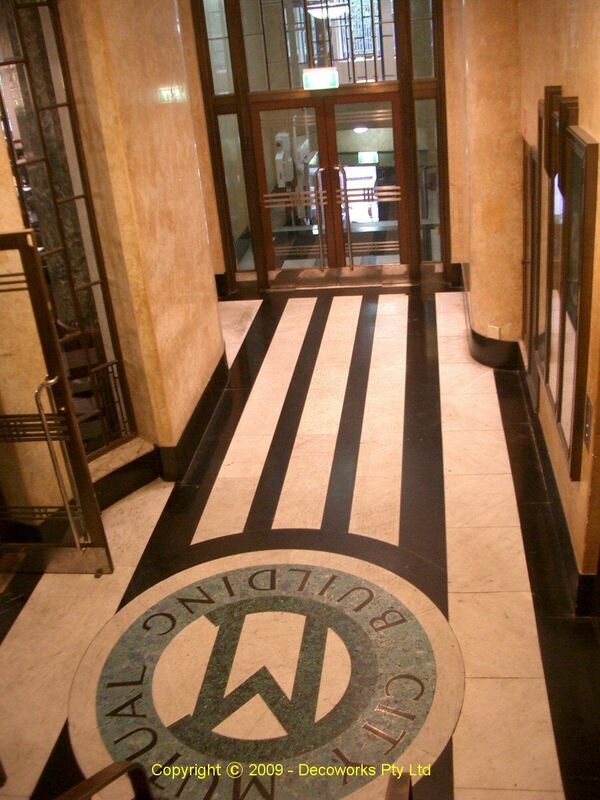 The impressive black marble entrance porch supports a base relief sculpture by Raynor Hoff called "The Flight from Vesuvius". 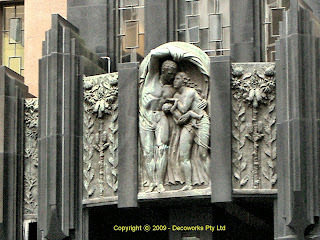 Hoff had previously finished his tour-de-force at the ANZAC War Memorial in Hyde Park before this commission. 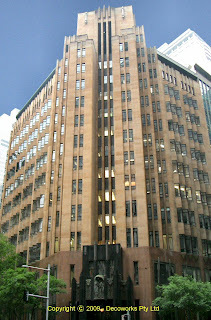 The CML building represents the culmination of the work of one of Australia's foremost proponents of this style, Emil Sodersten. - Sydney architecture / Jahn, Graham. 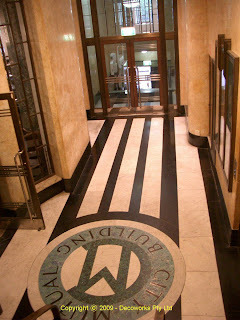 Published 1997. 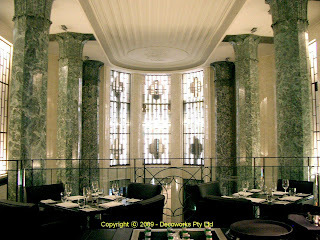 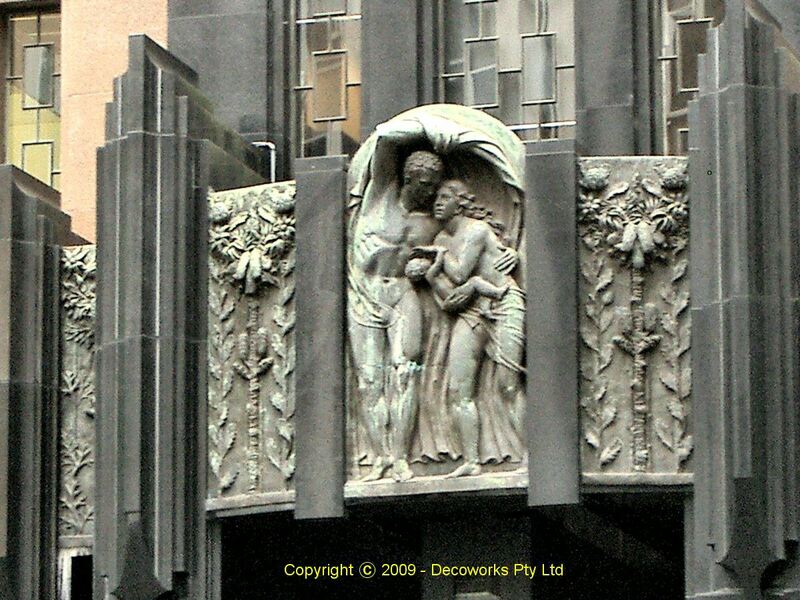 More Art Deco inforamtion can be found on the DecoWorks Pty Ltd website.